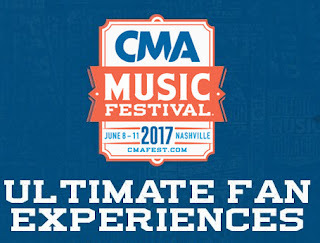 2017 CMA Fest Ultimate Fan Experiences Drawing Announced! The CMA has announced that the 2017 CMA Music Festival Ultimate Fan Experiences Drawing will open on Tuesday, May 30, 2017 at 10 AM CT! Be sure to log in to Fan Access on the CMA Fest mobile app or CMAFest.com by Thursday, June 1, 2017 at 10 AM CT for your chance to win meet & greets in Fan Fair X, tickets to HGTV Lodge performances, and more!